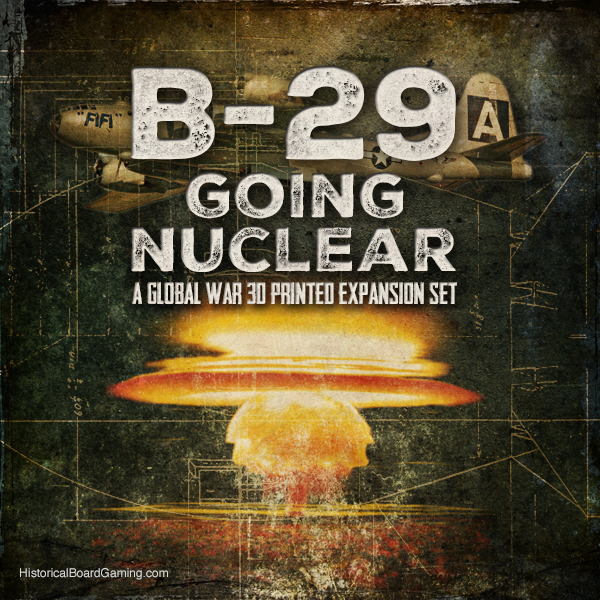 HBG 3D Expansion Set "Going Nuclear"
Welcome to GOING NUCLEAR, Historical Board GamingÃ¢€â„¢s Nuclear War expansion for Global War 2nd edition. This is the first of many 3D printed piece sets to supplement your Global War game. All of our 3D printed rule sets are denoted by the letters TDP with a letter after them to indicate the set (TDPA, TDPB etc.) for easy reference in future expansions. 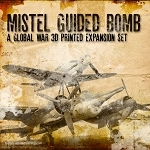 This expansion gives any nation in Axis & Allies the opportunity to research and develop the Atomic bomb. I can't wait to use this in my original Axis & Allies game. I am thrilled with this set. Really spices up our A&A 1940 game. 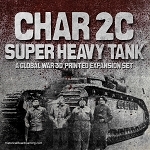 This set makes a great addition to Axis and Allies 1940. It adds another dimension to the strategy without skewing the game to being a total nuclear arms race. Since it takes the construction of multiple facilities, the collection of resources, and the development of numerous technologies, building a nuke is important, but does not necessarily make or break the game. It is also great that not only the Americans but just about any major power could build nukes if they desire. The U.S. and the Germans are the main competitors, but any country can work on their nuclear program. You will not be disappointed with what is possible HBG's greatest product yet. Let the Manhattan Project commence! The "Going Nuclear" expansion looks awesome and I cannot wait to implement it into our games. I see it is currently out of stock; is there any chance more expansions will be available in the near future? Or is there another place I can find this expansion? Q: Can you please e-mail me when this item is back in stock? If you check my account, you'll see my e-mail address listed. Q: When will this be available for purchase?